An enormous part of my job as an interior designer consists of shopping. Fun, huh? But it’s shopping with purpose. I love what I call “Haute Brocante” (aka The Mix: Price (High/Low), Age (Old/New), Style (ie: mixing Louis 16th/Industrial). Brocante means "Flea Market" and haute means "high" (as in Haute Couture = High Fashion), so it's "Elevated Flea Market" style. It takes a LOT of shopping and amazing vendors to successfully - and quickly - create an interior space (or garden) that evokes a collected-over-time aesthetic. 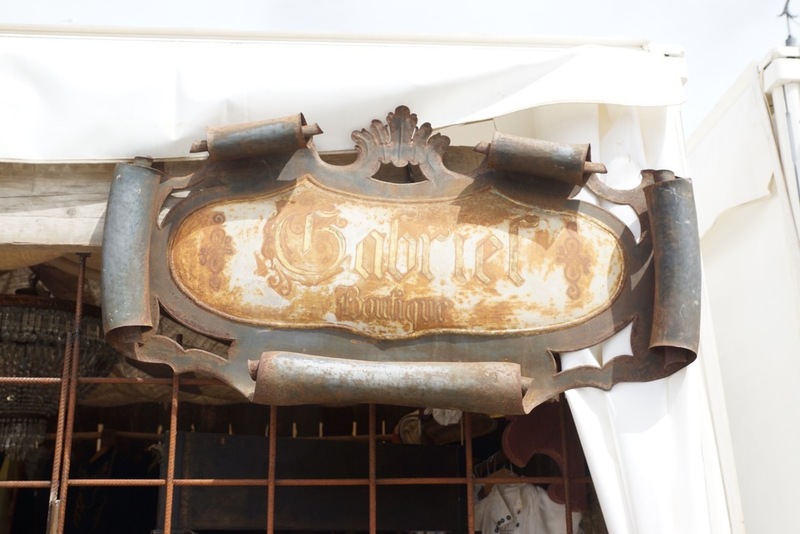 Haute Brocante to the rescue! This room's decor WAS collected over time: inherited pieces, antiques added over the years, antique reproductions that are new, Paris flea market finds. A few months before we moved to Italy, a new client called me and asked for help creating a Tuscan atmosphere in her 1928 Seattle home. She and her husband had just married in a blissful setting near Florence, and she wanted her home's ambience to remind her of the joyful experience on a daily basis. We started from scratch and this is the 80% finished result. Unfortunately, I moved to Italy before it was 100% complete and before I could have professional photos taken…. Please take a look at my website for more photos. We sourced from various vendors for everything! Note oriental rug atop sisal rug; a great way to make the rug larger. Since I’ve been living in Florence for a year, I’ve had the opportunity to shop some local flea markets as well as small negozi (shops) and, also, the monthly antiques market in Arrezo. 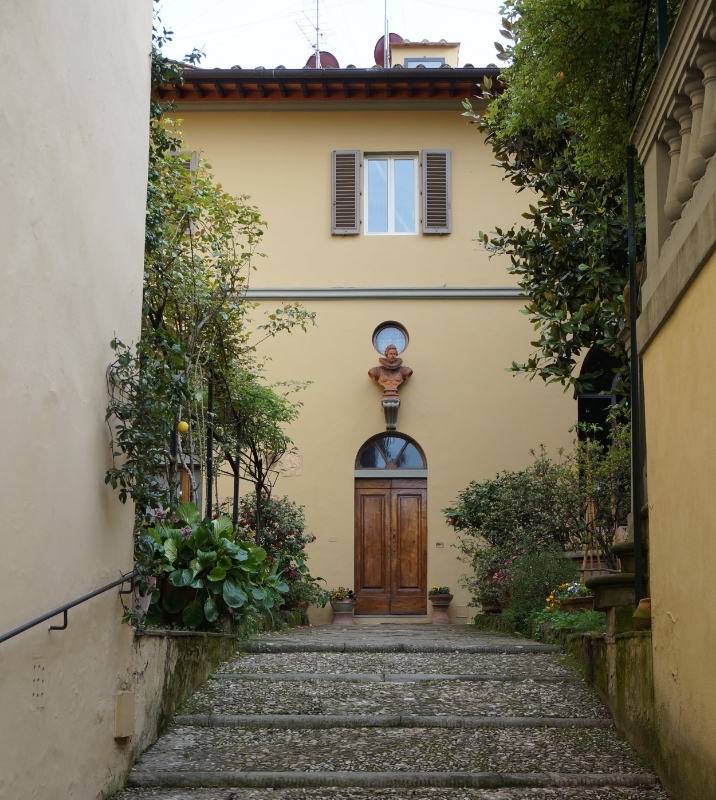 Take a look at some of the amazing items I’ve discovered since living in Florence! This spring I found this wonderfully Florentine chandelier from the 1950's at a swap meet - right across the street from our apartment. Here it is after being repaired and installed. ...and here it is cleaned up and with a bit of decorative painting by moi! It's so satisfying to discover and then give another life to items from earlier periods! If you'd like me to look for something, just ask! Posted on August 6, 2018 by Jann Placentia and filed under Design and tagged Decor Florence Haute Brocante Flea markets Antiques. I clearly remember the first time I visited Florence. It was late September, 1979, and the air had a crispness, foretelling the changing of the seasons. I was astounded by the beauty all around: architecture, monuments, the contrast of terra cotta roof tiles against blue skies, chic people wearing furs and gorgeous leather! After several trips over the years, we decided to spend a month in between winter and spring (the idea was to avoid heavy tourist times - ha!) soaking in all that is the wonder of this compact city. We rented an apartment through Italy Perfect and stayed in Palazzo Antellesi on Piazza Santa Croce, a wonderfully central location. According to various sources, the Palazzo was first built in medieval times and enlarged in the late 16th c, then acquired in the early 17th c by Niccolo' dell'Antella (from whom the name originates) and joined with a nearby building to make one large palazzo. He commissioned frescoes to cover the entire facade. The frescoes faded over time but then the Cinelli family bought the building and restored them in the 1920's and again in 1990. Young Federica Cinelli inherited the Palazzo in 1945, then married Count Piccolomini, becoming La Contessa Piccolomini. La Contessa still lives here, as does some of her family. And we so much enjoyed meeting her and her daughter, Francesca! We met at the Mercato Sant'Ambrogio (which is not as touristy as the larger, newly renovated Mercato Centrale, but feels more "authentic") where we learned about purchasing seasonal foods, pasta, cheese ("there's no such thing as Parmesan cheese - it's Parmigiano"), meat, seafood and generally started to feel like being with a friend. Look at the color and the care with which everything is displayed! The cooking lesson was informative and the food tasted incredible, but I was equally enthralled with Laura's home. The floor tile! The ceiling! After eating like kings, a few days later I convinced my husband, Bob, to make the hike up to San Miniato al Monte, my favorite little Romanesque church, with the most glorious view of Firenze! Downhill from San Minato al Monte we found the charming San Niccolo' neighborhood and beautiful Piazzale Michelangelo. And the JK Place hotel, on newly renovated Piazza Santa Maria Novella, was a complete treat for the senses! I loved the exterior of this little hotel even more when I saw the name: Hotel Botticelli And then I discovered it was built in the latter half of the 16th c. Sort of average for this city - ha! - but still impressive! So many incredible edifices in one city! And then there's Florence shopping! The food markets, flea markets and special/holiday markets. The clothing stores, shoe stores and perfumeries - so much to explore! No visit would be complete without a stop at Officina Profumo Farmaceutica di Santa Maria Novella - lots of history here and it smells divine! Wonderful architectural details, too. Great little boutique next to Rivoire on Piazza Della Signoria - I don't remember the name, unfortunately. But great stairwell! I could go on and on - and I will, in the next post! - but I'll close with this designer-y cup of espresso machiato I had at JT Caffe, across from the Palazzo Pitti. Posted on May 18, 2016 by Jann Placentia and filed under Firenze, Travel, Design and tagged Laura Franceschetti Shopping Piazza Santa Croce San Miniato al Monte Dining Architecture Four Seasons Hotels Mercato Centrale Villa Vedetta Duomo Palazzo Antellesi Officina Profumo Sant'Ambrogio JK Place. .....and the article "Blue as a Titian", featuring the exquisite work of Babs Watkins, Julie Watkins Baker and the amazing Eleanor Cummings, above. has fabulous things - true antiques as well as Tara Shaw Maison, a line of reproductions that I lust after. Makes me want to take a trip down South to go antiquing! Posted on May 18, 2010 by Jann Placentia and filed under Design and tagged Eleanor Cummings Antiques Tara Shaw.